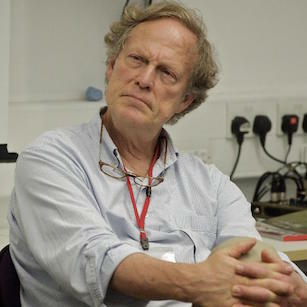 A leading and memorable figure in investigative journalism, Gavin MacFadyen, 76, died in London Saturday after a short illness. His wife, creative producer Susan Benn, the founder and president of the Performing Arts Lab there, survives him. Terrorism, corruption and the future of democracy — those are some of the topics that will be addressed at the Integrity20 conference in Brisbane, Australia, from Oct. 24-26. The conference aims to assemble “20 of the world’s most unique, courageous and provocative minds” to discuss some of the most important problems the world faces. 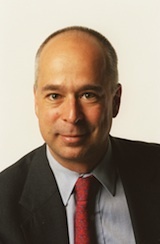 One of the speakers will be Charles Lewis, the founding executive editor of the Investigative Reporting Workshop. Can the next president rewrite the First Amendment? The 2016 presidential election’s effect on free speech comes with a good-news-bad-news message: The Supreme Court is likely to continue protecting free speech for reporters and the public, but “secrecy creep” will probably worsen in executive agencies and the White House. A bipartisan trend towards less transparency, “secrecy creep” results in less information for the press and the public, Katie Townsend, litigation director for the Reporters Committee for Freedom of the Press, said. She made her comments during a National Press Club Journalism Institute panel discussion Wednesday. From bias and free speech to copyright and censorship, issues in media law dominated a daylong session at the National Press Club recently. “Media Law for Journalists: A legal workshop and editorial roundtable” was designed to teach journalists and journalism students how to protect themselves from libel accusations, violations of privacy and reputational harm. The program was run by the Media Law Resource Center, which is hosting a similar session at Boston University Oct. 17.